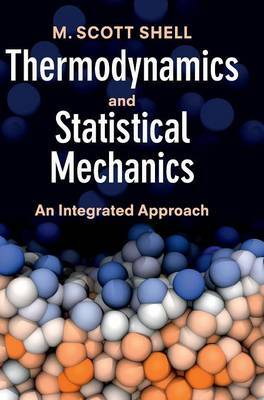 Learn classical thermodynamics alongside statistical mechanics with this fresh approach to the subjects. Molecular and macroscopic principles are explained in an integrated, side-by-side manner to give students a deep, intuitive understanding of thermodynamics and equip them to tackle future research topics that focus on the nanoscale. Entropy is introduced from the get-go, providing a clear explanation of how the classical laws connect to the molecular principles, and closing the gap between the atomic world and thermodynamics. Notation is streamlined throughout, with a focus on general concepts and simple models, for building basic physical intuition and gaining confidence in problem analysis and model development. Well over 400 guided end-of-chapter problems are included, addressing conceptual, fundamental, and applied skill sets. Numerous worked examples are also provided together with handy shaded boxes to emphasize key concepts, making this the complete teaching package for students in chemical engineering and the chemical sciences.